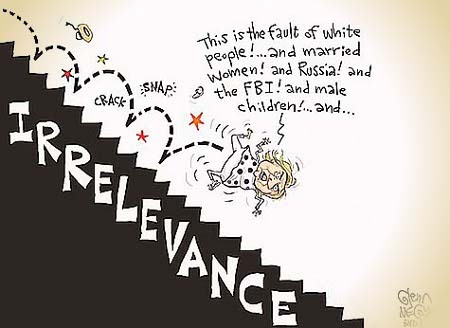 I was just going to allow Obama to shuffle off into the sunset, as most ex-POTUS’s are both allowed to- and encouraged to fade into obscurity. I can’t quite do that yet though. 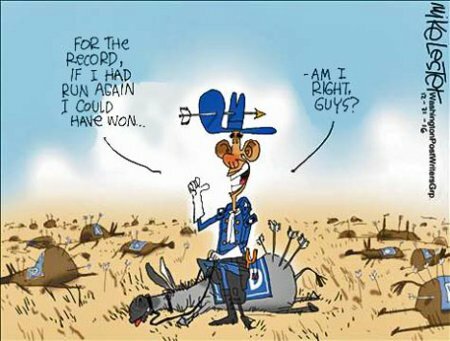 One last thing needs to be brought up about Obama and his “legacy.” That is the fact the he could almost be considered the sole survivor of the Democrat party and he seem utterly unconcerned by that fact or the fact that he is a large part of why the Democrats are effectively an endangered species in elected office today. Politically speaking, the legacy of Obama is that, largely as a reaction to Obama and the Dems’ slavish devotion to him, the Democrat party has lost between 1,100 and 1,200 seats in local, county, state, and federal governments. It can at this point be argued that they’re done, over, kaput. But hey! Obama got elected and got reelected. He wasn’t a One-Term failure and that’s all that matters, right? This entry was posted on Friday, February 10th, 2017 at 11:53 am and is filed under Politics. You can leave a response, or trackback from your own site. You’re Doing a Heckofa Job, Barry! Here’s a thought that is equal parts sad, scary, and angering: consider that Obama may actually believe that he’s done a good job – perhaps even a heckofa job given all the obstacles he would perceive to face – as the President of the United States of America. Such a belief on Obama’s part would certainly fit the pathology he presents. It would also fit the ideology and mores of his adopted culture. Hence, there’s a reasonable likelihood that Obama does, in fact, believe that he’s done and is doing a heckofa job. Yeah, it’s a sad, scary, and angering thought that Obama may be patting himself on the back for “how well” he’s performed as POTUS. This entry was posted on Saturday, September 3rd, 2016 at 8:01 am and is filed under Politics. You can leave a response, or trackback from your own site. Yesterday, June 19, 2015 Obama gave yet another speech, this time in Beverly Hills, CA, and he was not happy. Apparently, he’s become quite disillusioned and now believes that his constituency has failed him. This, of course, is Obama in a nutshell. The boy hasn’t failed; instead, he’s been failed by anyone and everyone. Or, at least, that’s how Obama’s pettiness and narcissism demands that he see things. Yet, to borrow Obama’s catchphrase, Let me be clear – he’s not entirely wrong in what he said. A POTUS has deliberately limited ability to affect change and his greatest tool, the Bully Pulpit, only works if people respond to the POTUS’ rhetoric with action…and the Liberals, Progressives, and their minority tenants by and large have repeatedly failed to do so. 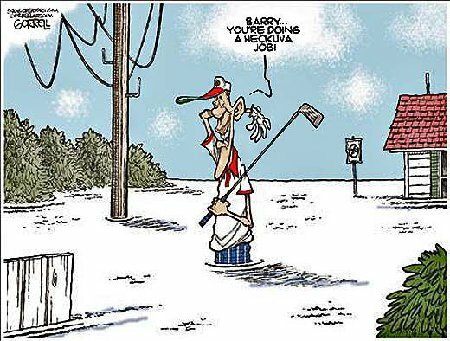 The problem with Obama’s belief, attitude, and angry rhetoric is that he’s stupid to believe that his constituency would ever take action. All of them are Statists looking for the Nanny State to take care of them and/or those who they see as possessing “protected traits.” If they were cognitively, emotionally, and philosophically willing and able to take responsibility for getting done what they feel needs to be done they wouldn’t have been likely to need the State to accomplish things in the first place. True, they elected Obama because he was a Black. Yet they still expected him to be their messiah and to get the jobs they wanted done with as little effort and sacrifice on their parts as was possible. This again is Obama in a nutshell. The boy doesn’t expect to make a silk purse out of a sow’s ear; he expects the sow to do it herself. 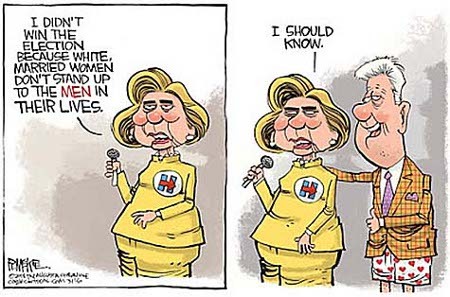 This entry was posted on Saturday, June 20th, 2015 at 12:57 pm and is filed under Politics. You can leave a response, or trackback from your own site. Yep! Obama vetoed a bill that approved the Keystone XL pipeline which would connect tar sands crude oil in Alberta, Canada with an existing pipeline, allowing 830,000 barrels/day to be pumped to US refineriest. White House Press Secretary Josh Earnest said the president vetoed the bill almost as soon as it arrived at the White House. Truly, the only reason this is newsworthy or noteworthy is that Obama actually lived up to his promise – threat really – this time. He’s promised to veto anything that the Republican-led Congress puts on his desk thirteen separate times and this was the first bill in question. Nor is the stated reason for Obama’s veto shocking for any reason other than its rare honestly. The boy’s stated reason wasn’t even the environment or Global Warming; it was that he demands the approval process solely the jurisdiction of the Executive branch, i.e., him and his people, specifically his State Department. 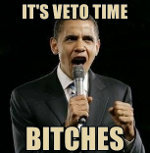 Of course, Obama is well and truly within his rights as POTUS to veto any and all bills that reach his desk and to do so for any reason or no reason at all. It’s just sad that America is stuck with a POTUS who chooses to excessive those rights out of narcissism, petulance, and childishness. This entry was posted on Thursday, February 26th, 2015 at 7:36 am and is filed under Politics. You can leave a response, or trackback from your own site.